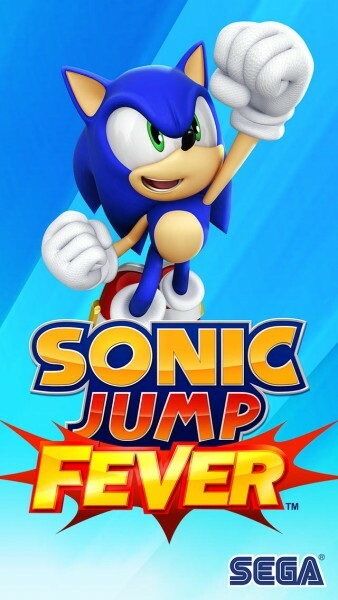 Sonic Jump Fever (Free) by SEGA is a vertical jumping game with Sonic, Tails, and friends. 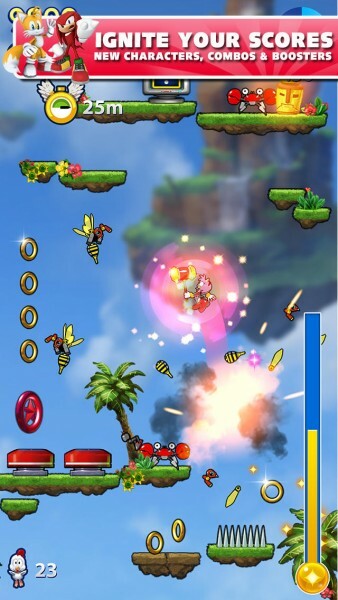 If you enjoyed the Sonic franchise, and can’t get enough jumping games like Doodle Jump, then Sonic Jump Fever is a perfect match. 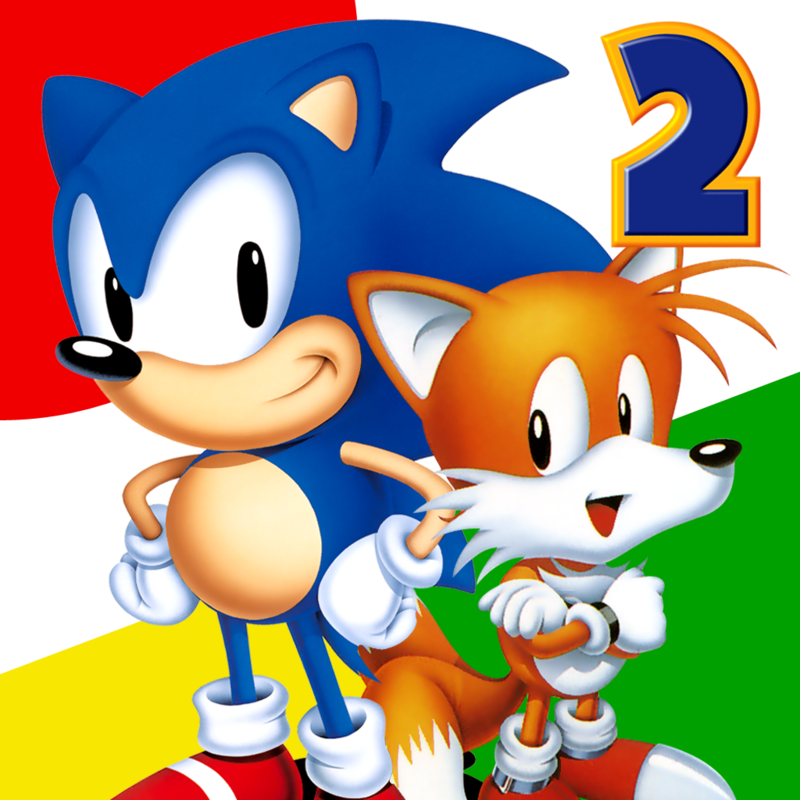 I loved Sonic games as a kid — I remember I was constantly playing Sonic the Hedgehog 2 on my Sega Genesis, as it was my way of relaxing. 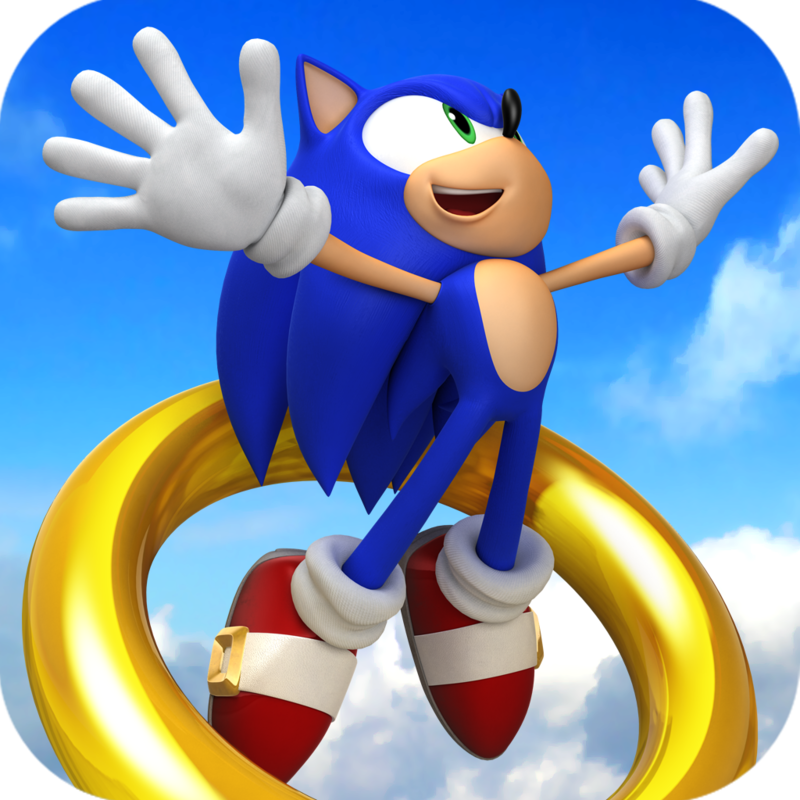 While I don’t think that the new Sonic games that they’ve released in recent years will live up to the classic ones, I still enjoy the franchise. 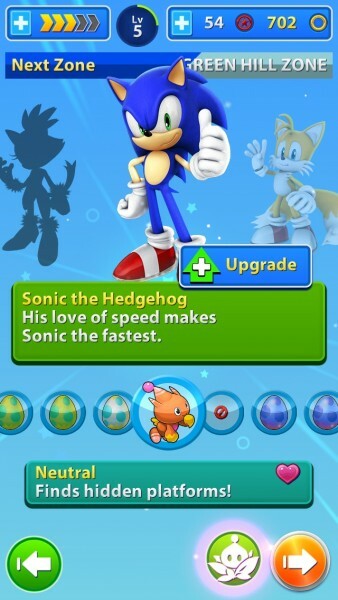 I mean, who doesn’t love the fastest blue hedgehog there is? 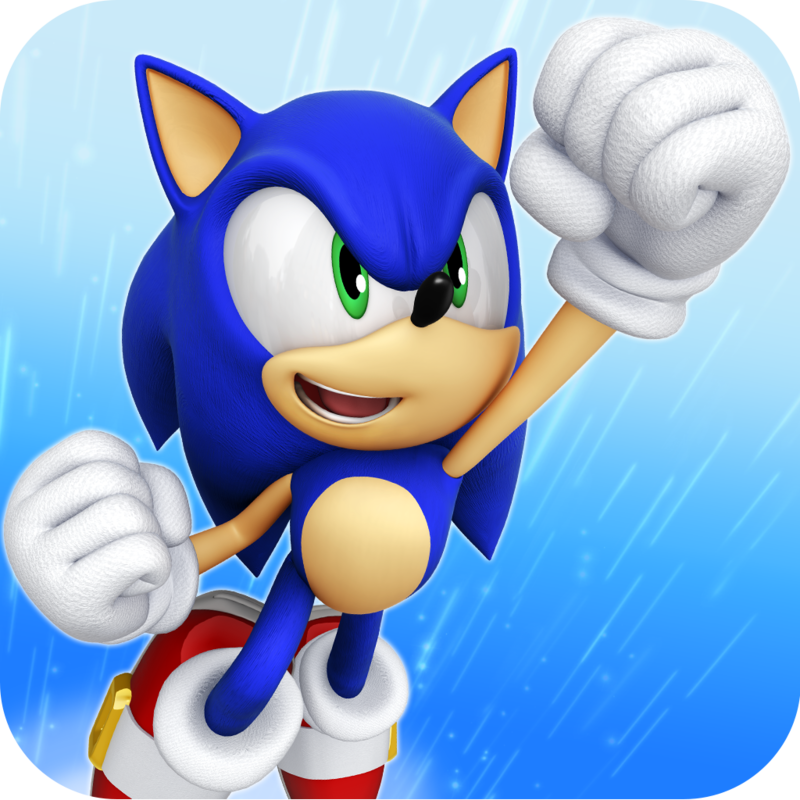 While the recent Sonic games that have been released on iOS are not quite the same as the originals, they’re still pretty fun. 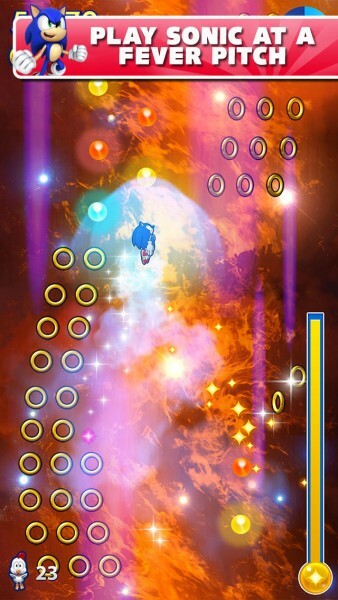 For example, Sonic Dash made sense as en endless runner, which is quite popular on iOS as a whole. 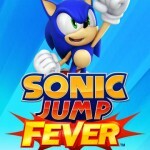 When I heard that they were releasing Sonic Jump Fever, a follow-up to the original Sonic Jump in 2012, I wasn’t quite sure how it makes sense, considering that Sonic is known for being fast, not jumping. But then I realized that you start off with Tails, and then it made a bit more sense. 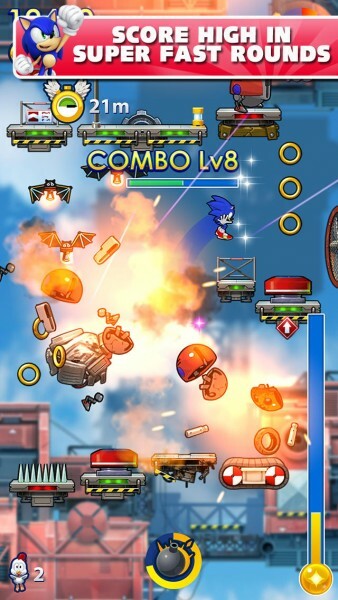 The visuals in Sonic Jump Fever are absolutely beautiful, and they will definitely take you back to the good old days of the original Sonic games. While everything looks familiar to Sonic fans, everything has been modernized with sharp, crisp, and stunning graphics that look amazing on Retina screens. The stages are bright, colorful, and lush with detail, and the characters look fantastic and have fluid animations while they move. The soundtrack is fun, and reminds me of the days when I played Sonic all day. And of course, the sounds are frantic and fun as you race against the clock. 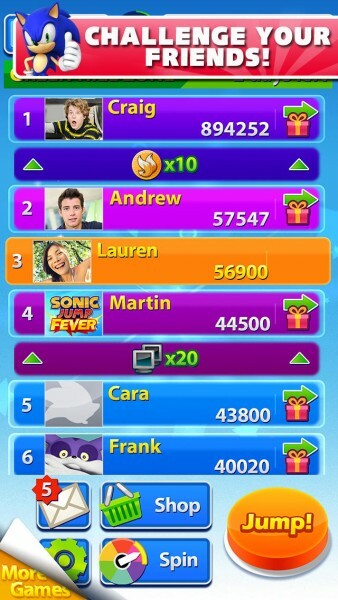 Like other jumping games, there is only one game mode available in Sonic Jump Fever, and that’s basically to jump and rack up as many points as you can. 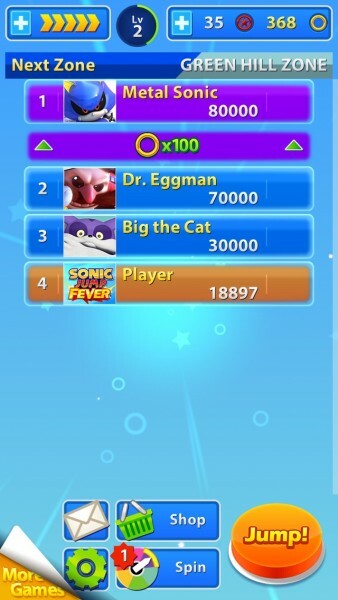 Unlike other games, though, Sonic Jump Fever is not endless — each stage will be timed, and you need to get as many points as possible before the timer ends. 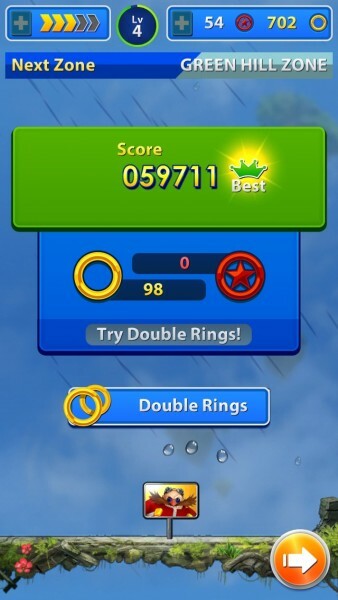 It’s basically a “Blitz” mode of the original, so you only have that limited amount of time to climb the leaderboards and beat your Facebook friend’s scores. There are different stages that represent various areas from the original Sonic games, but these will change every few days it looks like — it gives you some time to get the best score for each stage. The controls in the game are simple, featuring responsive tilt controls. 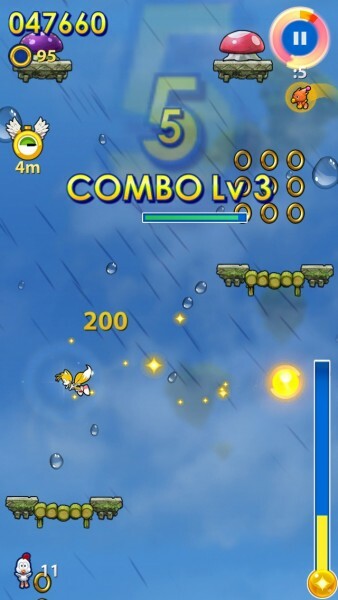 To move your character left and right as you jump, just tilt your device. 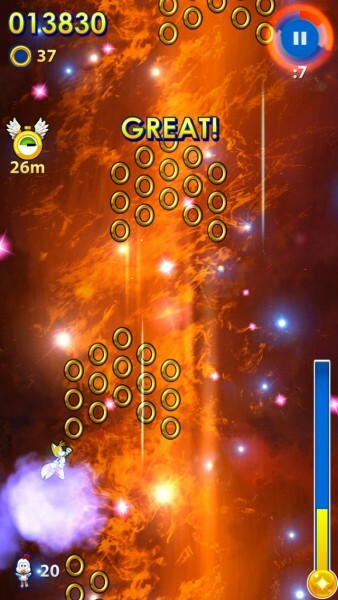 To do a jump in midair, just tap on the screen. 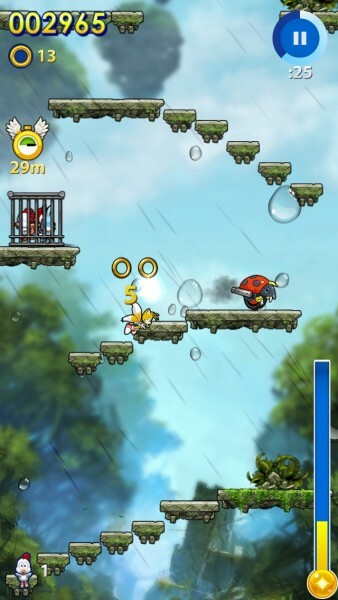 You can only perform one jump in midair until you reach another platform, so be careful with the timing. 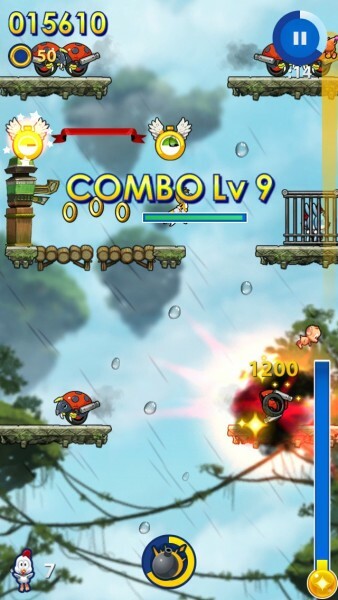 If you fall behind, or touch an enemy from above (the only way to kill them is from below), you will be shot out of a cannon to catch up. There are also other things, like plants that snare you, as well as mushrooms to give you a boost, that you should keep an eye on. 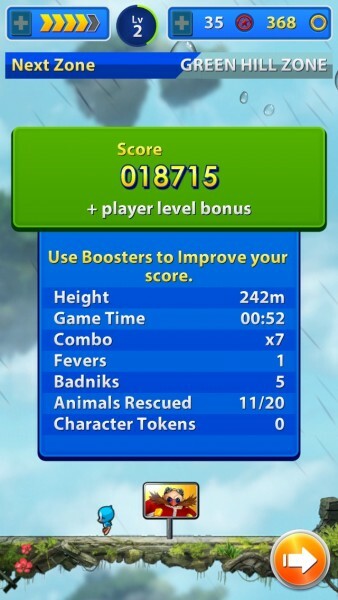 Getting enough of a combo going will take you into Fever mode, giving you a boost and a lot of extra coins to collect. 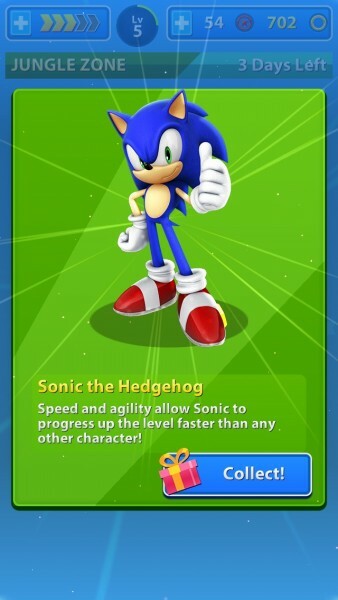 There will be power-up boxes along the way to give you some useful items that will aid you against the various enemies scattered around in the level, as well as coins to collect (spent for character upgrades), star tokens, and even character tokens for unlocking new characters from the Sonic series. 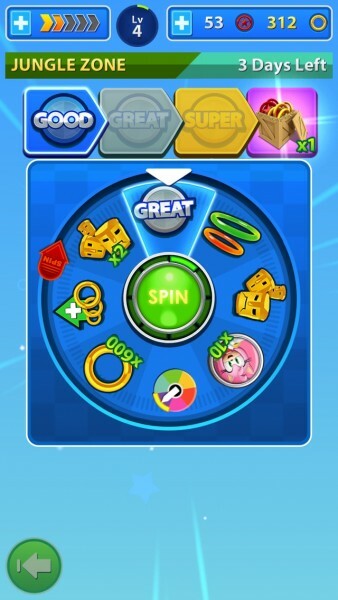 The upgrades for each character include shields, ring time, magnets, and detonations, all of which can mean big points when fully upgraded. Once time runs out, you’ll be lifted up to the top, where a hot air balloon awaits you. There will be some critters that will be waiting here, if you freed them from the cages along your jumping quest. 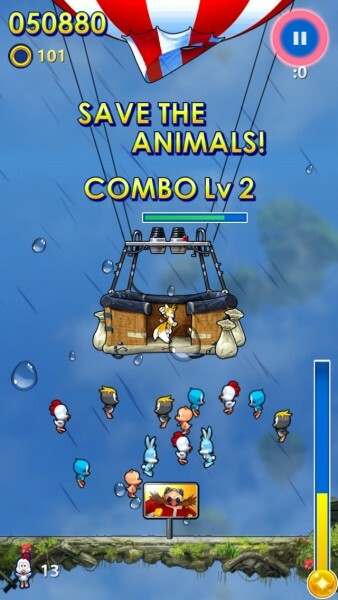 If you can fling them into the hot air balloon with your character, you will get some extra points. After each session, you will earn some experience points and level up when you acquire enough. 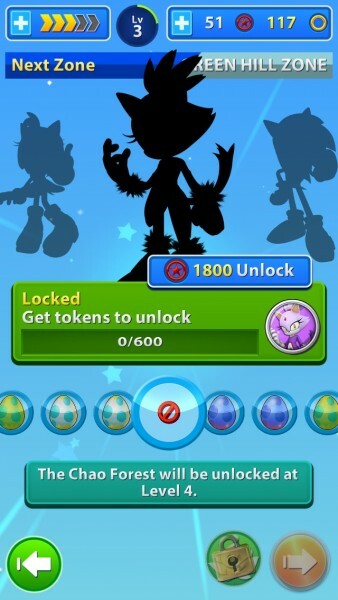 Leveling up means extra bonuses, such as character tokens or star tokens, which can be used to purchase boosts before a game. 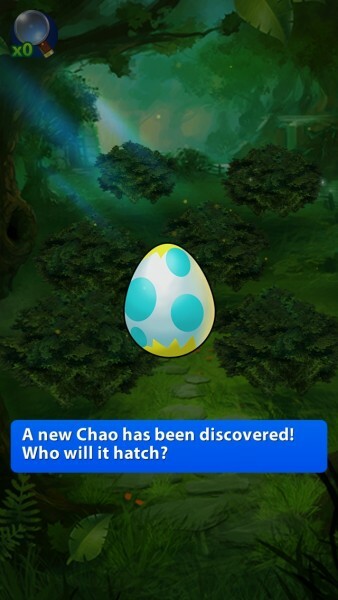 And since this is a Sonic game, there will be the Chao pets and Chao Garden. 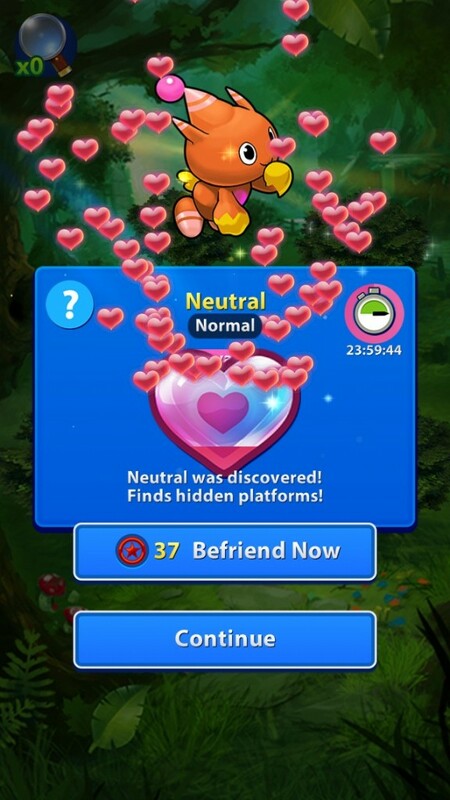 You can visit the garden once a day and find Chao eggs, which will hatch into a pet that you can befriend and take along on each game. These Chao pets will have their own abilities that can help you out, such as finding hidden platforms for you. The more you play with them, the more loyal they become, and when they fully befriend you, they can come along with you at any time. So far, despite this being a freemium game and there’s ads pretty frequently, I’m enjoying the game for what it’s worth. I just wish that it didn’t use the annoying energy system, because You can only play so many games before you’re forced to take a break from it. 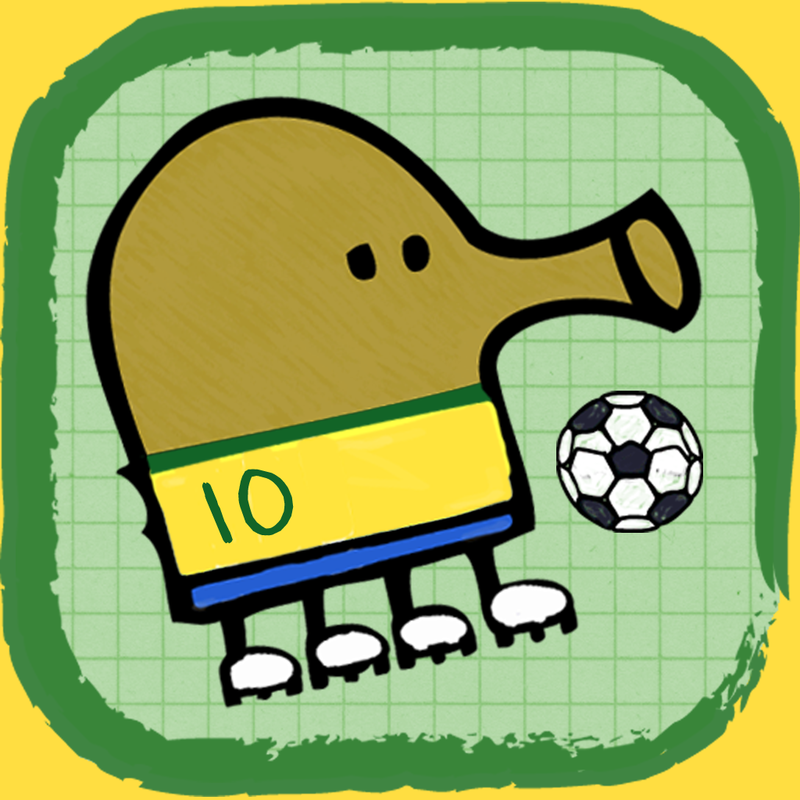 Other than that, the game is filled with in-app purchases, but you can still enjoy the game without having to spend a dime. 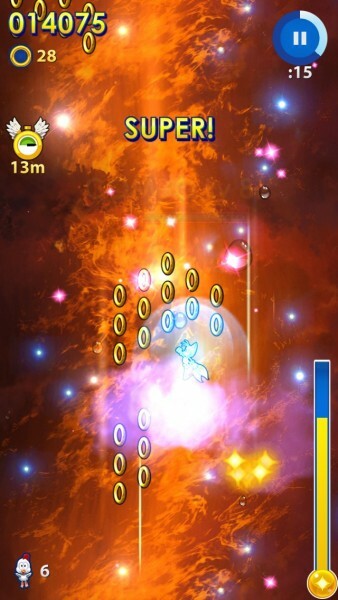 If you’re a fan of Sonic and enjoy simple jumping arcade games, then this is worth checking out. 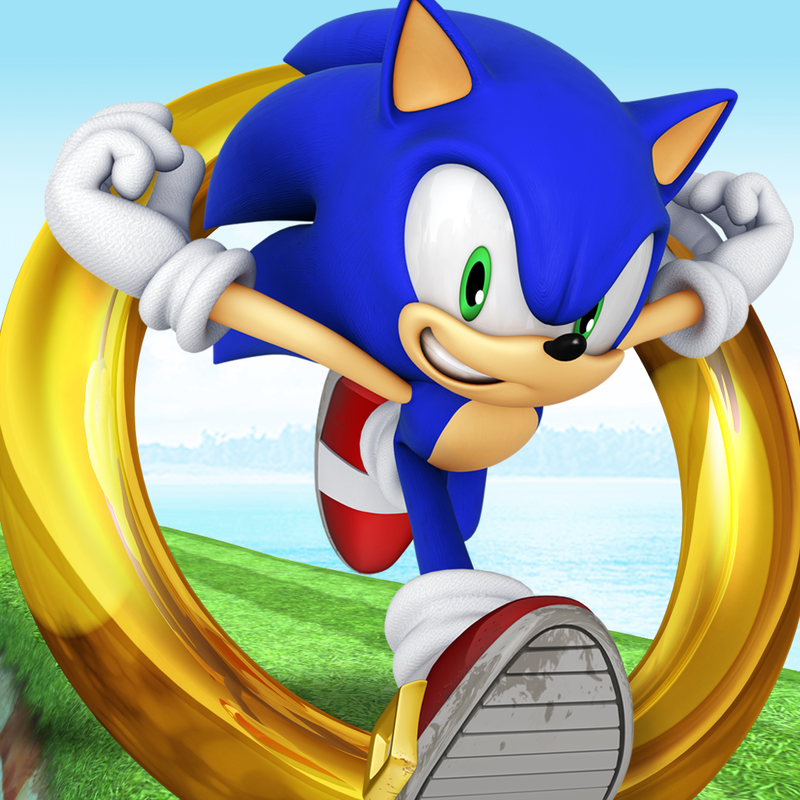 You can find Sonic Jump Fever on the App Store as a universal download for free with in-app purchases.